The growth of the Condominium market in Canada has been significant. According Statistics Canada, in 2006, 11% of all household were condominiums. Ontario statistics indicate condominiums comprise almost 62% of the new home construction in the province. Many have acknowledged that there is a need to review and update condominium laws to better enhance consumer protection. A number of issues have been raised in recent Ontario consultations into Condominium Act reforms, including condo manager qualification. 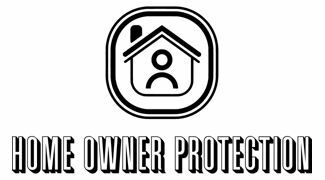 The Homeowner Protection Centre has received funding to undertake a research project titled Condominium Managers – Examining the Impact of Regulation on Consumers. This project seeks to provide an evidence basis to reform and update consumer protection in the condo marketplace. Our focus on the roles and responsibilities of condo managers will also help governments and consumer advocates to develop more informed positions. The Homeowner Protection Centre of Canada received funding from Industry Canada’s Contributions Program for Non-profit Consumer and Voluntary Organizations. The views expressed in the report are not necessarily those of Industry Canada or the Government of Canada.